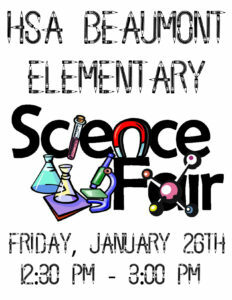 HSA Beaumont Elementary is hosting their annual Elementary Science Fair. This event will be held on Friday, January 26th from 12:30 pm to 3 pm. Come out and support the students in their education.